As a longtime resident of South Jersey living in Voorhees, NJ for the past 40 years, Anne Koons’ knowledge and expertise in Camden, Burlington & Gloucester counties and Philadelphia ensure would-be clients that they’ll receive the professional and reliable service that they deserve. Hallmarks of Anne Koons work include integrity, in-depth community and market knowledge, marketing savvy, effective negotiation skills, and a high-quality professional network, all of which serve as key factors to ensure the sale or purchase of a home for the best price. 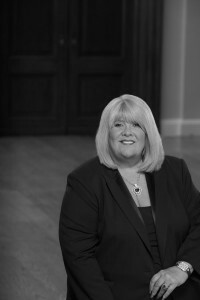 Anne’s “client first” philosophy has earned her recognition as the #1 agent in the Berkshire Hathaway HomeServices Fox & Roach for over 20 years, Realtors-Cherry Hill Office for over a decade, and resulted in her being named one of the 15 Women to Watch by South Jersey Biz magazine. Anne is also well-known for implementing the latest and most effective new real estate tools with traditional marketing efforts to ensure high performance, from internet marketing to social media administration. In addition to her real estate work, Anne served as a member of the board of directors of Sun Bank Corp. for 20 years and has served as a member of the Cooper Hospital Foundation for 25 years, where she’s conducted charity work ranging from sponsoring reading programs to serving as chair for a golf tournament that has raised more than $2 million for the hospital’s pediatric department.